Mother’s day is a time to celebrate the mothers and the strong female figures in your life. You would surely agree that the moms that you know in your life deserve the best, and there’s no more appropriate time to deliver it to them than Mother’s Day! If you’re looking to show you care, this is the day to do it. Whether you are appreciating your own mother, the mother to your children, your grandmother, and more, this is a day that you can let that special woman in your life know just how deeply you care about her. Check out these special ideas on how you can make this Mother’s Day one to remember. The best way to start the holiday is to start it off right! Serving someone breakfast in bed or starting the day out going for breakfast is a great idea. Even if you’re bringing takeout or pastries from a local bakery, anything is a great way to celebrate this day. This is the perfect day to get the family all together to celebrate. You can even make the day a memorable family event by getting everyone in the same place to have fun. The possibilities are endless, but a bay cruise is a great idea! It offers the chance for you to spend time together with wonderful views and even a sit-down lunch or meal, so you can make memories in beautiful weather that will last you a lifetime. Getting all of your family together can be tough, but this is the day to it! Call relatives and invite other family members or friends along to enjoy a relaxing celebration. This is the time to make memories together that you can share and enjoy even after the day has ended. Sharing a dance with your mother or with your wife can be a special tough to an already awesome day! This could be a unique way to create sweet memories that you’ll remember forever. Capturing the day in photos means that you can remember the day forever! You can put them online or even print them out and frame them, making a nice gift or featured memory for you to remember. When you’re looking for venues to celebrate Mother’s Day, remember that it is possible to encompass all of our ideas here and more when you book your day with Yachts For All Seasons! Cruise the bay and more in the most beautiful spring weather. 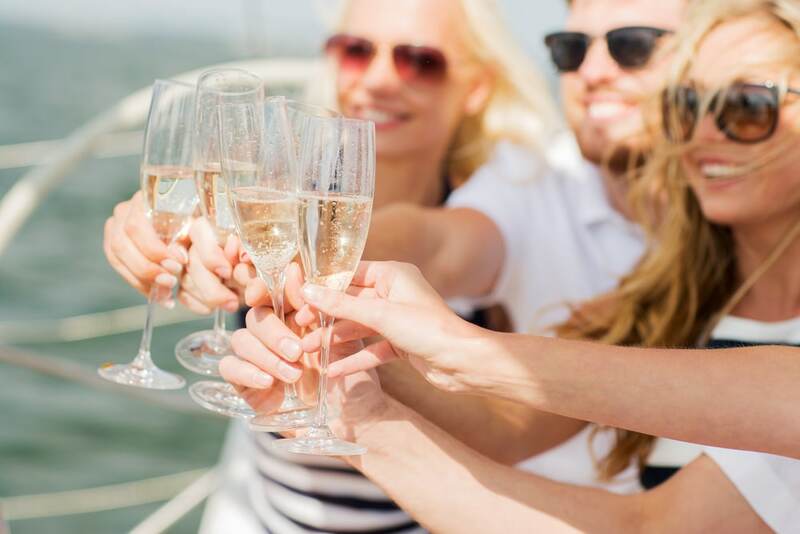 Yachts For All Seasons offers public cruises that are among the leading yacht venues locally when it comes to celebrating all of those special occasions. Yachts For All Seasons has a professional staff an crew that will help you make a special Mother’s Day to remember for a long time! Book your next event here, or give us a call at (212) 534-6380 to speak with us and make a reservation to see why we are one of the top celebratory venues in the areas for holidays, special occasions, events, and more!